MX-3 awning is available now! Enjoy the MX-3’s contemporary innovative curved cassette design. Add LED spotlights to your awning to extend your Summer evenings. Add LED lighting to the awning recess lining to create a subtle and comfortable atmosphere. 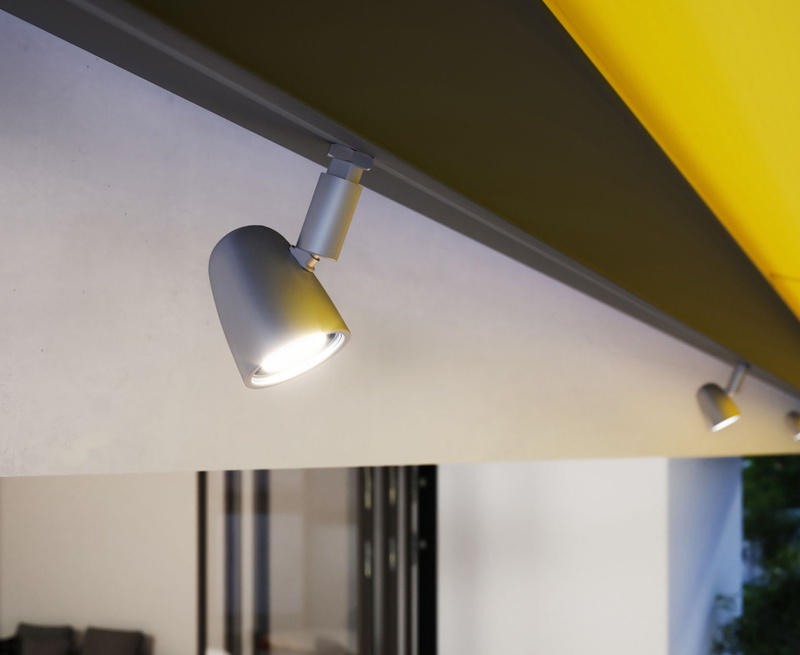 The MX-3 is available in a wide range of new colours to suit every home. 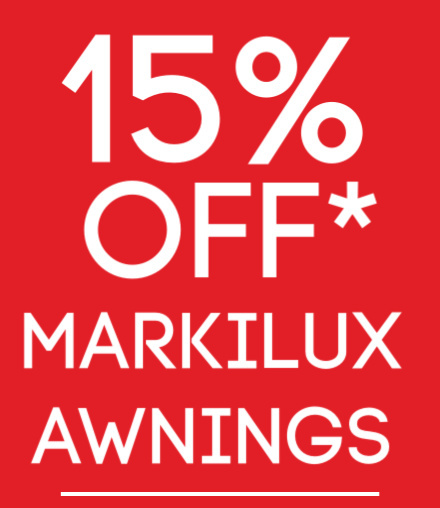 Markilux awning sale is now on with 15% off all awnings until 31.05.2019! Make an excellent long-term impression with the Markilux MX-3 Cassette Awning now available at Aspect Window Styling. The MX-3 cassette awning is stylish in design, provides ultimate UV protection and features unique customization options including LED spotlights, fabric materials and colours. 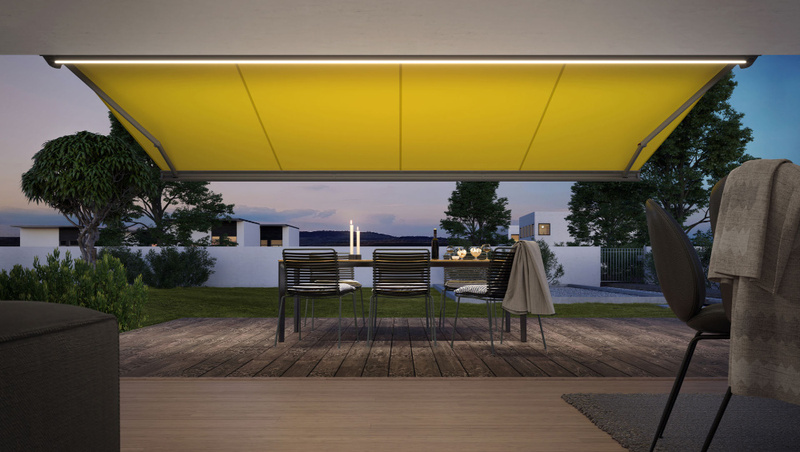 The Markilux MX-3 cassette awning combines innovative aesthetics with technical efficiency to separate itself from the competition. With a wide selection of fabric colours and customizable options, the MX-3 cassette awning model can suit any patio or balcony. 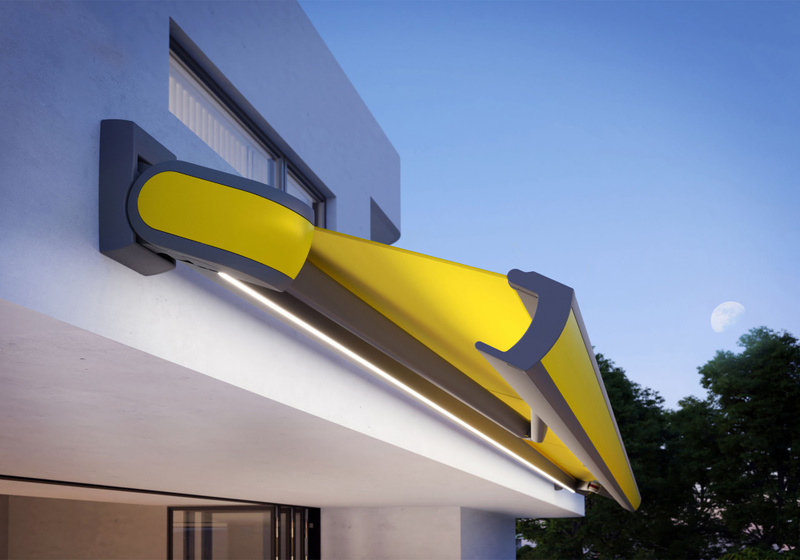 Markilux have created a smooth cassette profile design that amalgamates shapely curves with clean lines to accentuate a contemporary awning style. When fully extended the MX-3 provides stylish UV protection that regulates climate and creates a comfortable extension of your home. The MX-3 awning can also fully retract when not in use, sealing the fabric roll and arms from view, to achieve minimal architectural impact. 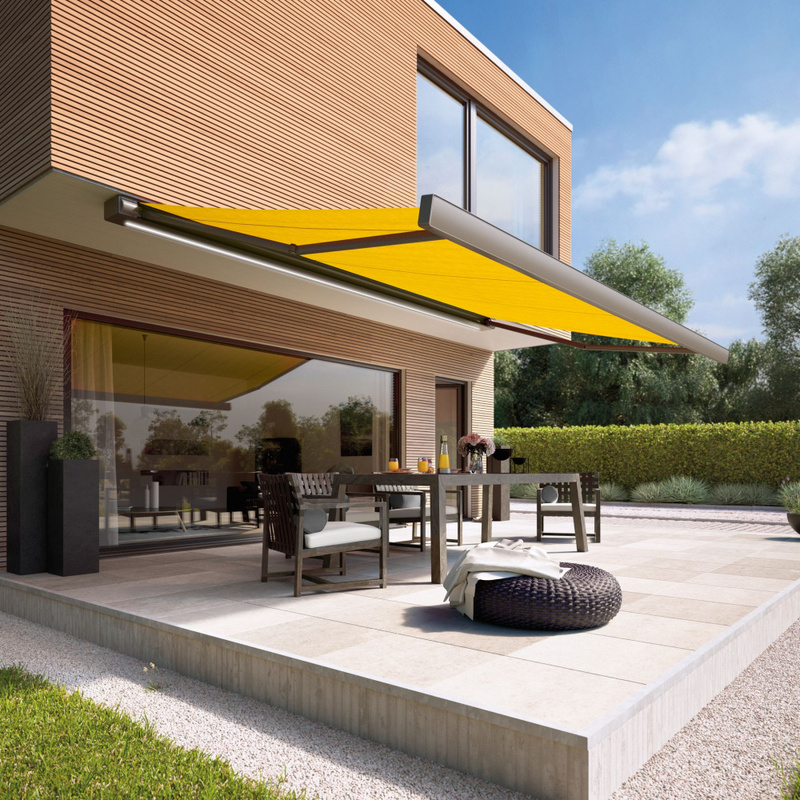 Markilux are renowned for utlising cutting edge advancements in awning manufacturing and German engineering to produce the most efficient and reliable awnings on the market today. The MX-3 is no exception. The MX-3 has incredibly slick automation, superb remote control features and robust mechanisms that make it a real pleasure to use. The MX-3 has various customized options including LED lighting, fabric and colours which are explained below. Adding lighting to your awning is a great way of extending your outdoor experience and to fully enjoy the Summer evenings. LED lighting can be lined into the recess of the MX-3 awning or LED spotlights can be added beneath the cassette. All LED lighting can be adjusted precisely to match your personal preferences. 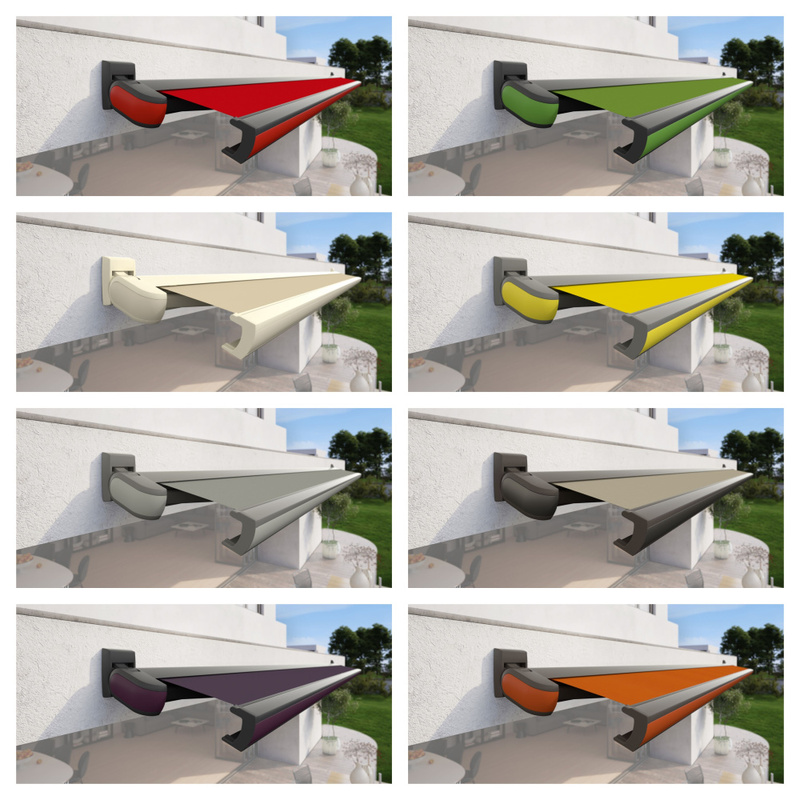 Why not infuse your awning with a bold colour to reflect your style and home. Want to know if the MX-3 awning is suitable for your home? Hear are some helpful details. The compact cover cassette measurements are 12cm (Height) x 23cm (Width). MX-3 Awning measurements are up to 600cm (Width) x 300cm (projection) or if you would prefer greater projection measurements are 500cm (Width) x 350cm (projection). Our awning sale is now on with 15% off all Markilux awnings including the MX-3 cassette awning. It is the perfect time to invest in an awning for your home. 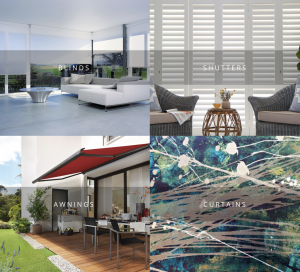 If you would like to know more about our awnings or the Markilux awning sale you can contact us, or visit us at our showroom in Bath to meet our awning experts, browse our awning displays and see our samples!